As soon as you reach an audience of 5,000 tracked visitors (in a 7-day period), you unlock the ability to add multiple stages to your Journey! This means that once your visitors leave your website, they will begin to see a sequence of different ad experiences over the next few days. This is very similar to the concept of a “drip campaign” in email marketing, where your email subscriber will receive a sequence of different email messages after subscribing to your email list. 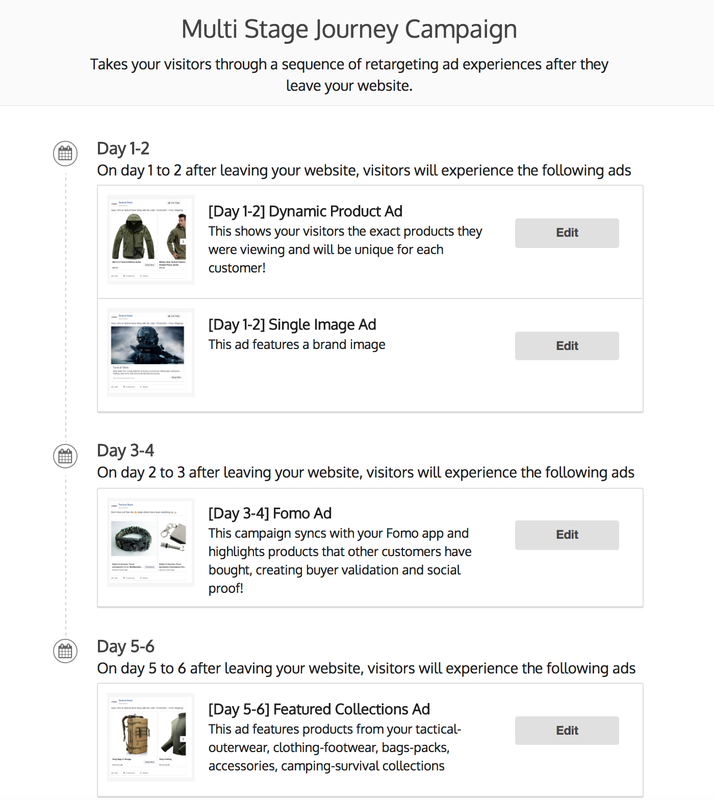 Multi-stage Journeys with Shoelace allow you to do the same thing by using retargeting ads. This feature is available to users on our Pro ($149/month) and above plans. Running a multi-stage Journey campaign is one of the best ways to combat “Ad Fatigue”. Ad fatigue is when your visitors see the same ad too many times and stop engaging with it. Effectively ignoring the ad when they see it again. This is bad because it costs you money to run ads that people are no longer engaging with! But when you take visitors through a sequence of different ad experiences after they leave your site, it significantly reduces the risk of ad fatigue!